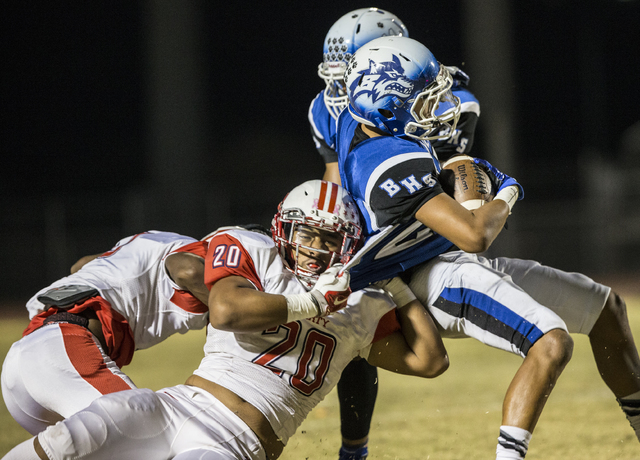 The Basic secondary faces its biggest test when the Wolves (8-3) travel to Liberty (10-1) in the Sunrise Region championship game at 7 p.m. Friday. 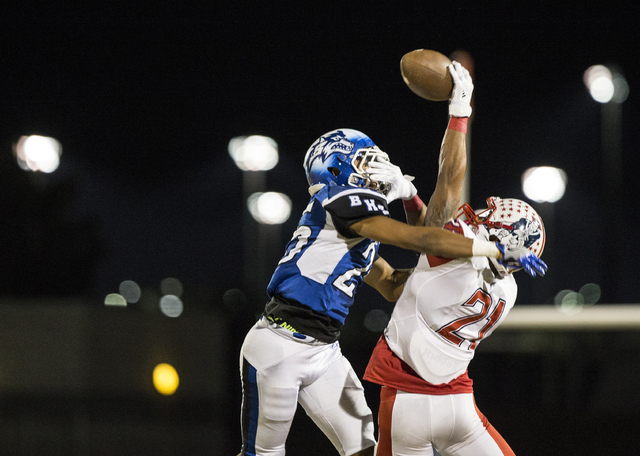 Basic’s secondary play wasn’t exactly a thing of beauty to start the season, as the Wolves gave up 619 passing yards and seven touchdowns in their first two games. 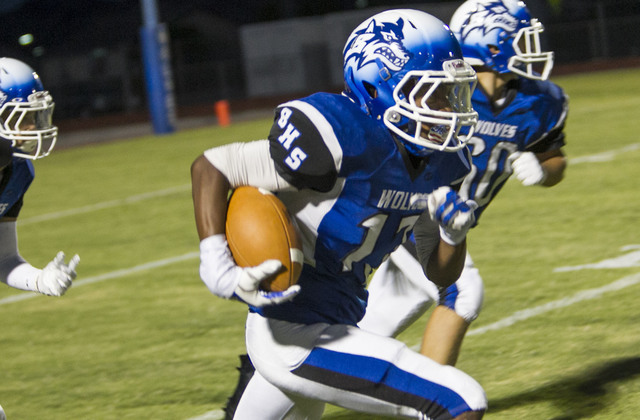 But the group came around and is coming off a four-interception performance against Foothill. 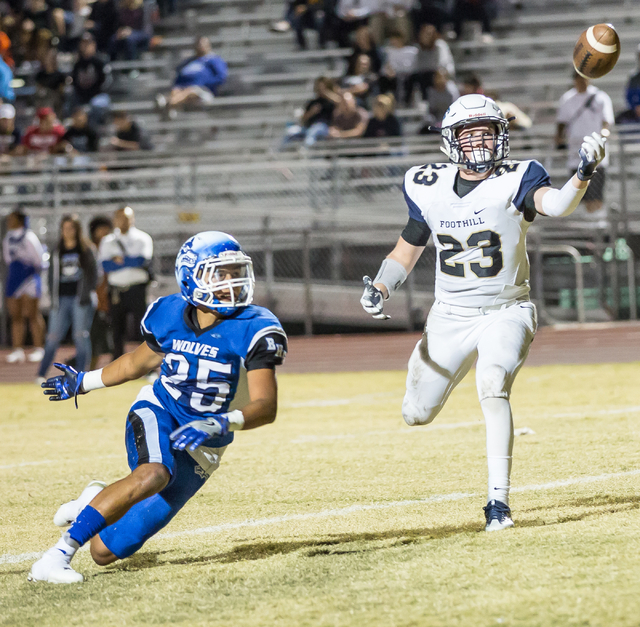 Now the Basic secondary faces its biggest test when the Wolves (8-3) travel to Liberty (10-1) in the Sunrise Region championship game at 7 p.m. Friday. 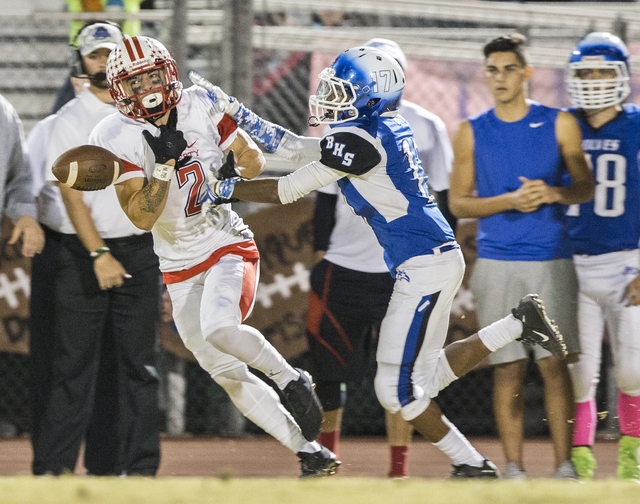 After the shaky start, only two teams had big passing nights against Basic: Foothill (300 yards) and Liberty (296). 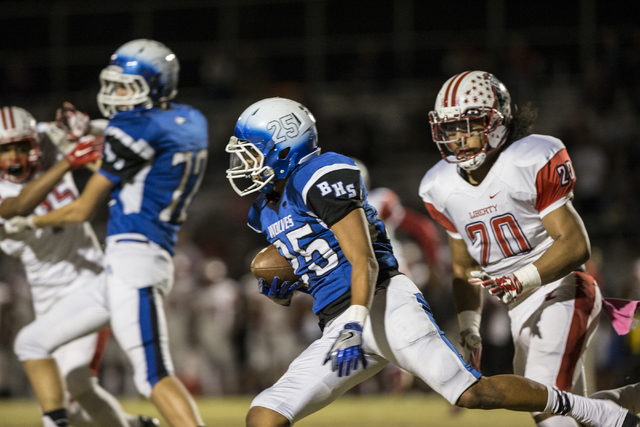 After holding Foothill to 91 passing yards last week, the Wolves face the area’s top passing team in Liberty. The Patriots average 306.5 passing yards, and quarterback Kenyon Oblad leads the area with 3,283 yards. 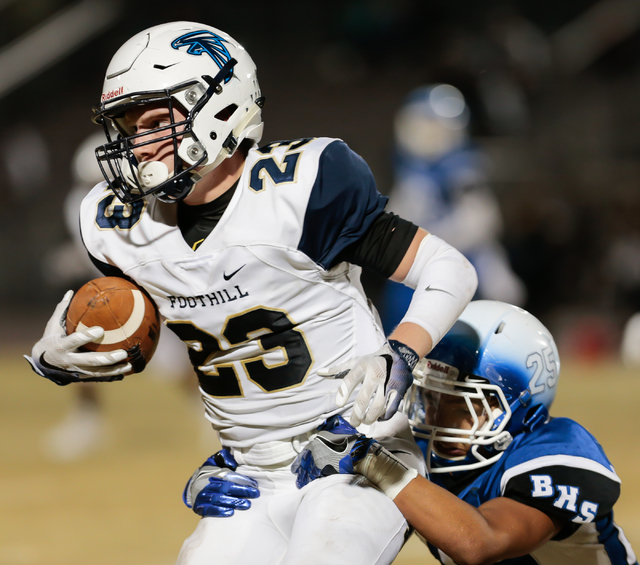 Foothill’s Joel Heintz made 11 catches for 157 yards the first time the teams played, but Basic put Quison Owens on Heintz last week and limited him to two catches for 18 yards. Jordan Gallegos covered Brandon Hargis, Foothill’s leading receiver, and held him to three catches for 9 yards. 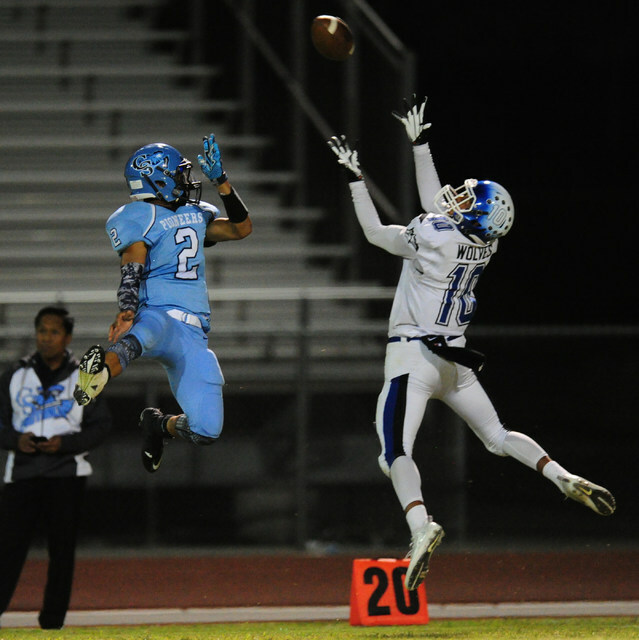 But Liberty’s receiving corps is more talented and certainly deeper than Foothill’s. Ethan Dedeaux, who has committed to San Diego State, has 48 catches for 1,030 yards and 14 touchdowns, and Darion Acohido has 63 catches for 997 yards and seven scores. Even if opponents stop them, No. 3 receiver Marquez Powell (32 catches, 450 yards, 6 TDs) would be the go-to receiver for most teams. Cahill thinks his team is ready to compete with the Patriots, who have won the past six Sunrise titles. 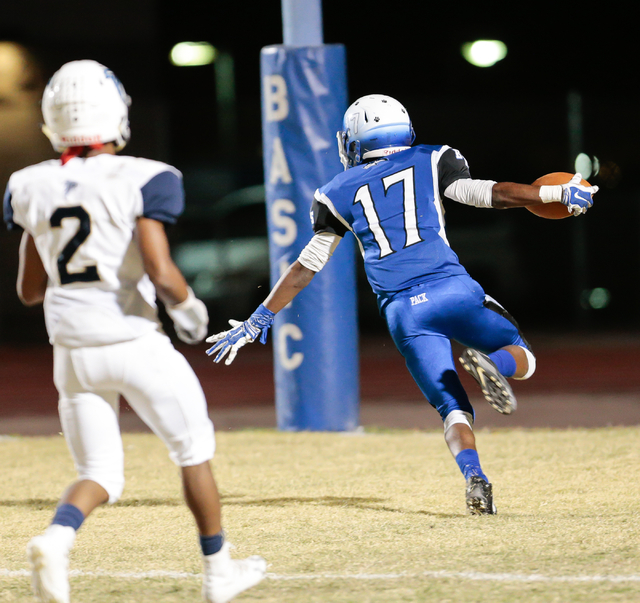 Basic trailed 23-15 at halftime when the teams met Oct. 27 before Liberty pulled away for a 51-15 win. It’s the third consecutive season Basic has met Liberty in the Sunrise final. Cahill is especially proud of his team’s return to the final after returning just three offensive starters and no defensive starters this season. And Basic’s players think this might be their year. 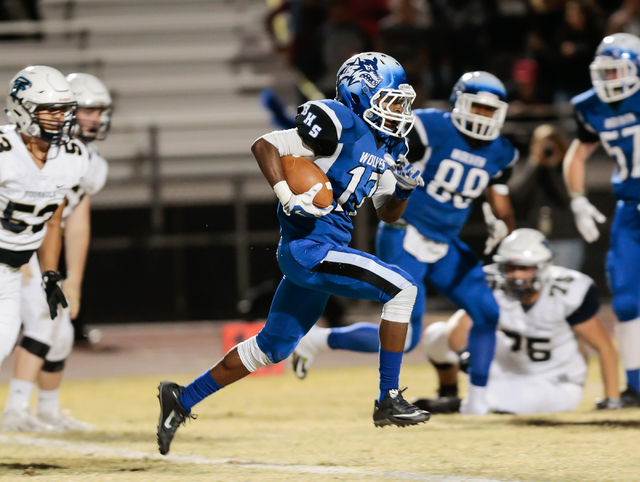 Contact prep sports editor Damon Seiters at dseiters@reviewjournal.com or 702-380-458. Follow @DamonSeiters on Twitter.